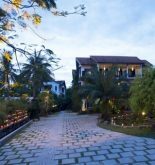 Hoi An Ancient House Village Resort & Spa has quality about shopping, sightseeing and culture in Hoi An especially this famous place services good for both tourists and businessman. This four star resort attracts a big amount of tourists each year, it is distant the city center 2 km and airport 33 km. Most of tourists of hotel are very pleased with its position due to it is near to the main tourist destinations of city as Tran Duong house and Assembly hall of the chaozhou Chinese Congregation. It will be extremely comfortable for tourists to spend their vacation in this hotel thanks to its facilities and services. What is more, hotel also provides a wide range of other great services such as the meeting and seeing off tourist service at hotel or airport, beauty service, family room, babysitting. Let you experience as soon as the superior facilities of each room in this hotel during your vacation. Some of them are equipped the shower, tea or coffee maker, refrigerator, desk, hair dryer to help you recover health after a long day. The recreational facilities of hotel include outdoor pool, massage, solarium, swimming pool (kid), steam bath which will bring you as comfortable as possible. 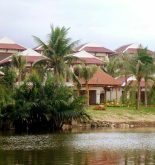 Hoi An Ancient House Village Resort & Spa itself had better be your choice, if you are looking for an accommodation at Hoi An. 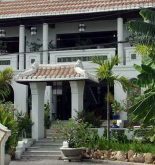 Address: Cam Thanh Village, Hoi An, Quang Nam, Vietnam. 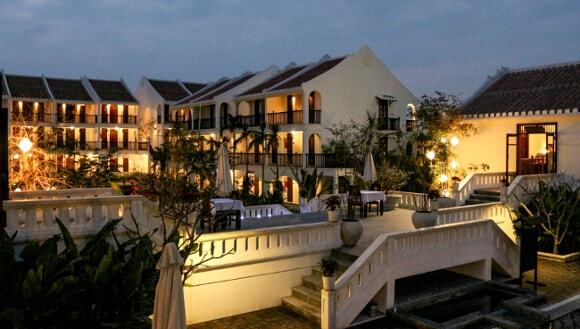 This information has been supplied by Hoi An Ancient House Village Resort.